Maintaining a healthy weight is an important part of preventative medicine with obesity being at epidemic proportions and the rate of diet and lifestyle diseases continuing to rise. It is important when doing any weight loss program to make sure you are loosing fat and not muscle and the BIA body Composition analysis can monitor your weight loss achievements and make sure your body composition remains healthy. 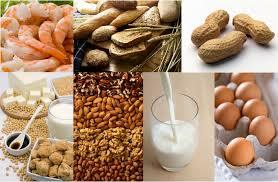 It is also important with dietary restrictions to ensure that you are meeting your nutrient requirements. When weight loss is difficult to achieve, our practitioners can help you to determine and address problem areas. Transitioning from a strict weight loss diet to something that can be maintained as a lifestyle is important for maintaining a healthy weight down the track. Many people experience digestive complaints such as bloating, sluggish bowels, loose bowels and indigestion and put up with it because it has become ‘normal’ for them. These types of symptoms may be a sign of an imbalance of bacteria in the gut, poor diet, gut and liver toxicity or digestive inflammation. Food sensitivities can also contribute to these types of symptoms as well as non-digestive symptoms such as muscle aches, fatigue and nasal congestion, to name a few. People diagnosed with Irritable Bowel Syndrome and inflammatory Bowel Disease also respond well to Naturopathic treatment. Conditions such as PMS, Endometriosis, difficult menopause, low libido and PCOS are all signs of hormone imbalances. There are a range of lifestyle and dietary things that can throw out our hormones which a very easily disrupted. Things such as stress, toxicity, nutritional deficiencies and carrying excess weight will all worsen symptoms of hormone imbalance. Stress has an significant and potentially destructive impact on our bodies if we have enough of it over a long period of time. Stress can cause changes in sugar balance, reproductive health, digestion, mood and energy production. Protecting against the long-term effects of stress is important in keeping you feeling full of life. Fatigue, anxiety and low mood are very common problems in today’s society. There are many causes besides stress including nutritional deficiencies, hormone imbalances and thyroid problems to name a few. Signs of a stressed out immune system may include recurrent colds and infections, ear infections, cold sores, mouth ulcers, allergies and auto-immunity. A poor diet, stress, poor sleep and even poor gut health can significantly contribute to how well our immune system functions. 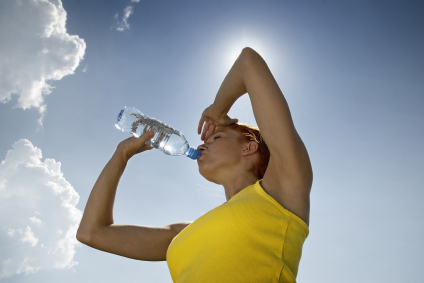 Providing the body with the correct nourishment is crucial to correcting symptoms. Supporting immunity with balancing herbal medicines is also useful in both acute and chronic cases of immune dysfunction. We often think of skin disorders as being a purely topical issue however, did you know that many are related to immune dysfunction, poor detoxification and are often made worse by stress, food sensitivities and other lifestyle factors. There are also many natural ways to help soothe the symptoms of itchy, red, dry or flaky skin. Autoimmune conditions and allergies can severely diminish the quality of life of the sufferer. Nutritional and herbal support can be extremely useful in assisting with the management of symptoms while helping to balance the immune response. Both autoimmunity and allergies have been linked with disrupted gut function and toxicity in many cases which are areas that Natural therapies are particularly effective at addressing. Cardiovascular disease is still the number one cause of death in Australia today. There are a number of areas where nutrition and herbal medicine can help to address many associated risk factors including assisting with healthy blood pressure, reducing blood cholesterol levels and decreasing inflammation which has been associated with hardening of the arteries. Lifestyle aspects such as exercise and stress management are also important in lowering your risk. Did you know your Naturopath can be consulted for a general health check and diet and lifestyle advice to help you age well and prevent disease. In Australia the majority of the top leading causes of death and morbity are lifestyle diseases such as Heart Disease, Stroke, Type 2 Diabetes and some cancers. These are potentially preventable conditions. Do what you can now to ensure you get the best out of your later years! Don’t fit any of these categories?